Home | Latest News | dermaviduals Skincare Q&A: Does Chocolate Cause Breakouts? At Easter time, the return of Cadbury Eggs and other sweet delights always sparks a debate at the dermaviduals offices. 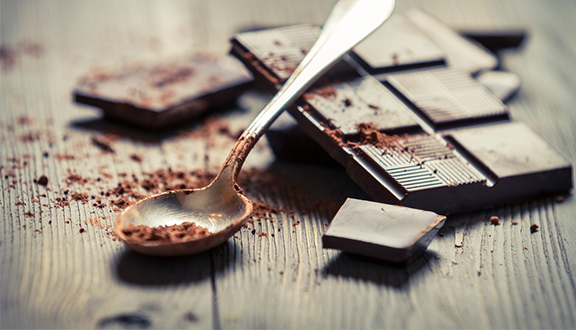 The question: Is it a myth that eating chocolate gives you pimples, acne, spots? Until the mid-20th Century, it was believed that glucose contributed to acne. Doctors counselled against sugary drinks (like soft drinks) and sugary foods (like chocolate). Then in 1969, startling contradictory evidence was presented. Researcher JE Fulton and his colleagues conducted a three-month trial with 65 men and women who suffered from acne. At the conclusion of the study, they decided there was no link between chocolate and acne. The study has recently been called into question. Chief among the problems is the study’s sponsor, the Chocolate Manufacturer’s Association of the USA, a group with a vested interest in the results. Additionally, contemporary scientists are questioning the validity of the study’s methods. A new French study from Henri Mondor Hospital has found a link between daily chocolate and sweets consumption and acne in teenagers. However, the researchers did not evaluate the participants’ overall diet and lifestyle habits, making it impossible to definitively connect the dots between the chocolate and skin flare-ups. Although the jury is still out with regard to chocolate – more specifically cocoa – and its effect on skin health, one thing is certain: Diet definitely affects skin. There is a wealth of scientific evidence linking sugar and excess fat consumption to skin problems. Sugars and saturated fats cause the sebum in your pores to become thicker and less fluid. Instead of moving the dead skin cells lining your pores to the surface, the sebum clogs the pore, and eventually causes a blemish. Another not-so-fun fact: Sugars make your collagen fibres stiffer, which accelerates the ageing process. A new review paper, published in the Journal of the Academy of Nutrition and Dietetics, examines all the research done on the links between acne and diet in general, not just chocolate. Until more is known about the link between chocolate and skin breakouts, we suggest that you enjoy the sweet treat in moderation. And when a chocolate craving strikes, consider choosing dark chocolate, which contains 6% less milk fat than milk chocolate.